August is rapidly coming to a close. For our family, that means that Neva is in her comfort zone doing what she does best. Neva loves to help others. It’s in her DNA. In the fall, our daughter’s busy family becomes the center of our attention. 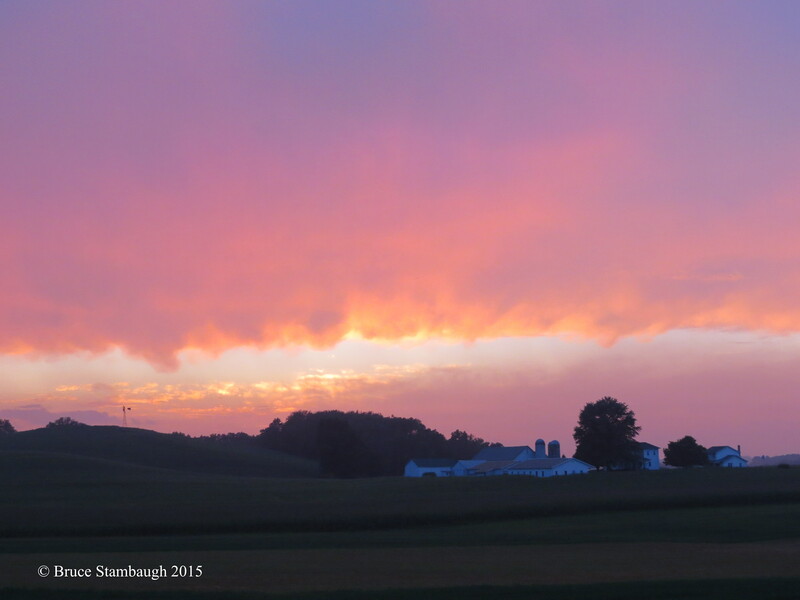 In part, that is why we moved to the Shenandoah Valley. Carrie is the women’s volleyball coach at Eastern Mennonite University. Her personal and professional schedules are head-spinners. Practices and meeting with players consume Carrie’s time. Once the regular season starts soon, it gets to be grueling. Neva spends much of her time in the kitchen preparing meals, frozen sweet corn, and applesauce for others. Of course, our daughter has a family to care for as well. That’s difficult to do, even with a helpful and talented husband. That’s where we come in, especially my wife. 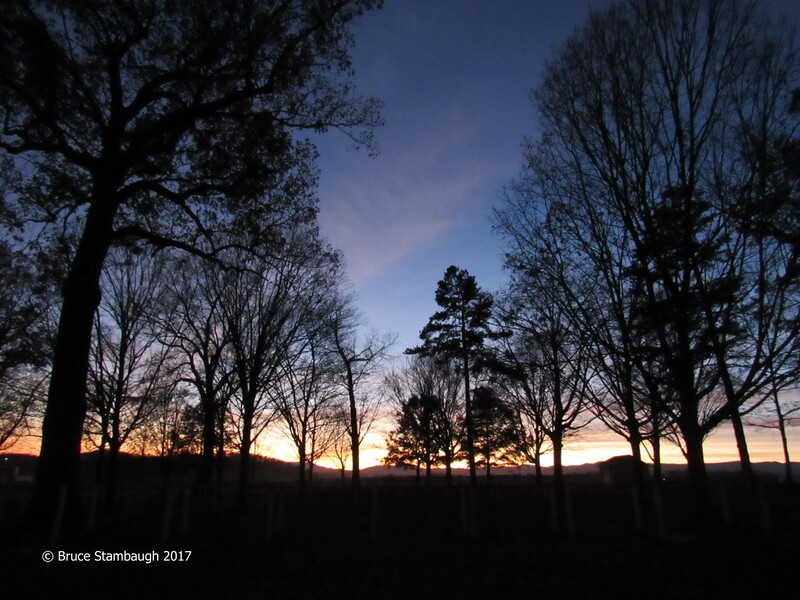 Before our move from Ohio’s Amish country to the Commonwealth of Virginia, Harrisonburg became our temporary home in the fall. Neva lived there August into November. I shuttled back and forth during those months as work duties called. Now that we are retired and live just five miles away, we can quickly assist our daughter and her family. When it comes to Neva, “assist” is an understatement. My energetic wife puts all she has into helping our daughter’s home run as smoothly as possible. It’s a must do situation with three active grandchildren and both of their parents working full-time. Neva added a repurposed screen door to a flowerbed. With Neva taking the lead, my wife and I gladly step in to do what we can. Me? I do whatever I’m asked or told to do. If you are a betting person, wager on the latter. Of course, the grandkids and our son-in-law all do their part. We fill in the gaps when work and school schedules preclude household chores being completed. When it comes to domestic skills, I can’t hold a candle to Neva though. She plans and prepares family meals. I set the table and clean up. Occasionally, Neva prepares food for the entire volleyball team. I’m the gopher. I go for this and go for that. While Neva is cooking or cleaning or shopping, I might be running the oldest grandchild to the gym for workouts or picking up the middle grandkid from after-school activities or accompanying the youngest to her soccer practice. See what I mean? All that coming and going keeps us active, energized, and helps us sleep well at night. In addition to all of this activity, our son has taken a new job in a different state seven hours away from us. With Neva leading the way, we helped him ready for this significant transition in his life, too. We were glad to do what we could. Why does Neva do all of this? It’s all she knows how to do. It’s how she loves. 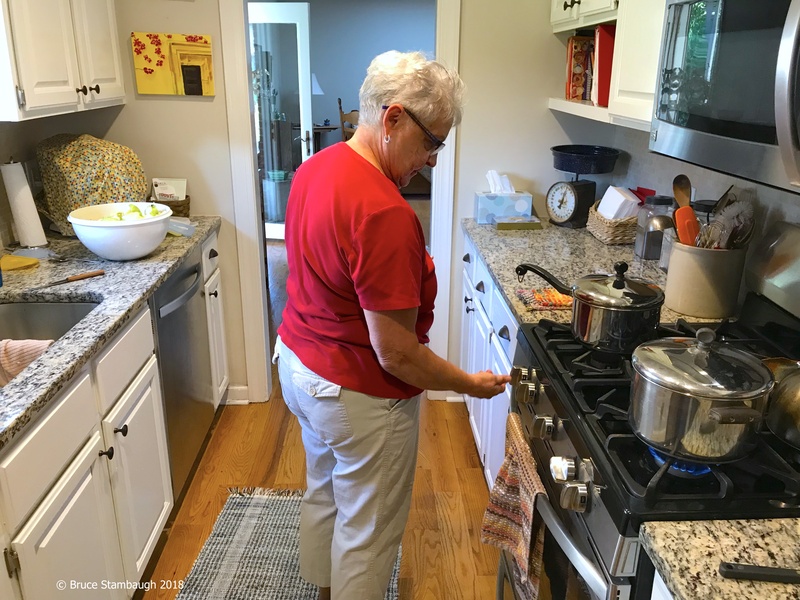 Her compassion manifests into tasty, nutritious meals, quality time spent sharing her gifts and wisdom with the grandkids, and a sense of security for our son, daughter, and son-in-law. Every now and then, Neva takes a break. I marvel at Neva’s determination, fortitude, skills, and drive to aid others. It’s definitely that time of year again, and we all reap the benefits of Neva’s generous gift of hospitality. Our fall schedules are hectic to be sure. Neva and I wouldn’t have it any other way. To paraphrase the late Arthur Ashe, we do what we can with what we have right where we are. At our age, at any age really, that’s all that can be expected. In Neva’s case, she exceeds any and all expectations. 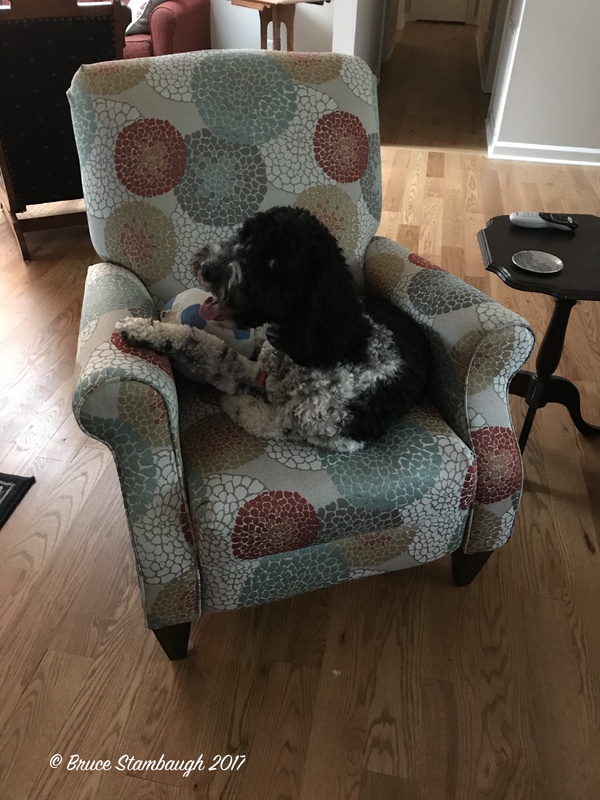 I sat on our screened-in back porch eating a light lunch with my wife and our granddog, Millie. Neva and I were dog sitting while our daughter and her family were away for the weekend. The dog duty was in the fine print of our moving contract. As I nibbled at the delicious egg salad Neva had prepared, a mockingbird called from the crest of a roof three houses away. Not to be outdone, a northern cardinal sang its springtime repertoire from a neighbor’s lilac bush. As I picked at my lunch offerings, I thought about a comment I had heard a couple of hours earlier. “It’s been a long week,” the man said. That caught my attention. Anticipating a bit of bad news or perhaps a string of events that bore him negative consequences, he instead spoke far beyond himself and his own life experiences. He mentioned those in the world who lacked basic human needs, food, shelter, water, love. Every week is a long week for them. I marveled at his keen sense of compassion, his devotion to looking and living outside his own situation, his own desires, his own problems no matter how big or small. Instead, his concern was for those in dire straits. His urging was to be observant, considerate, and helpful to those we meet in our daily comings and goings. That hit home for me. Here we were, only a month in our new home, still trying to establish some semblance of a new routine in our new state. Not surprisingly, Neva was ahead of me in that regard. She had already begun to volunteer once a week at a local thrift store doing what she loves. Helping others regardless of their station in life or their background or their creed is in her DNA. She had also already helped pack groceries at a local food pantry. I’ve been slower to engage in such activities. After spending my entire adult life in the public eye one way or another, I wanted my new routine to be more personal, more private. I want my actions to continue to be purposeful, useful, and productive for others in this new life we have chosen for ourselves. 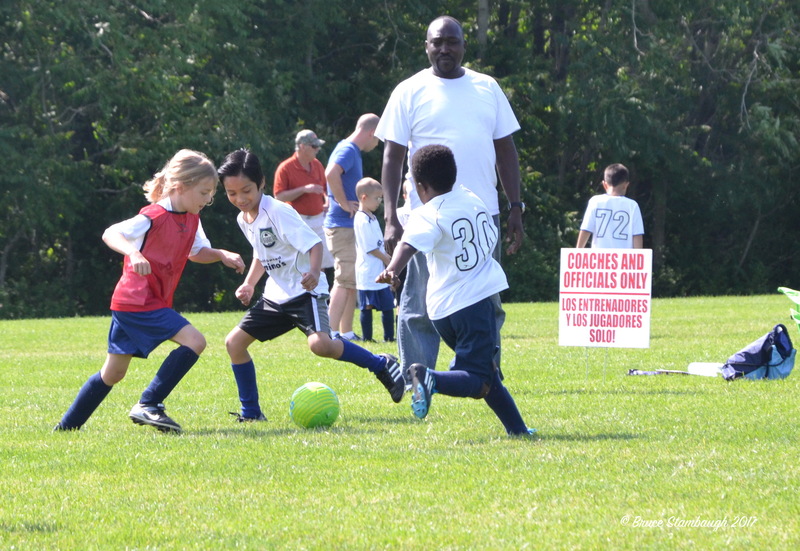 Participating in the lives of our active grandchildren and their parents tops our lists. We’ve already begun to do that, Millie being Exhibit A. My intentions are to cultivate the activities that I love besides my family of course. I’ll find some birding buddies. I’ll go hiking and biking. I have books to write and photographs to publish. But as the man mentioned, I needed to reach beyond myself, too. I’ll have plenty of opportunities with three universities nearby, the community’s focus on arts, the multi-cultural demographics, and the rich historical and natural geographical features the Shenandoah Valley offers. But as I sat on our porch with Neva and Millie, lazily eating, listening, pondering, I considered those in the world who have long weeks every week. I need to incorporate the lame, the lost, the least into my newly unfolding routine as well. I’m not exactly sure how that will play out. I just want to step outside my comfort zone, my familiarities. It seems the right thing to do, especially given the horrors in today’s complex and interconnected world. I’ll begin by meeting people right where they are. Spontaneous or planned, it must be done. Perhaps then their week and mine will feel a little shorter than their previous one. 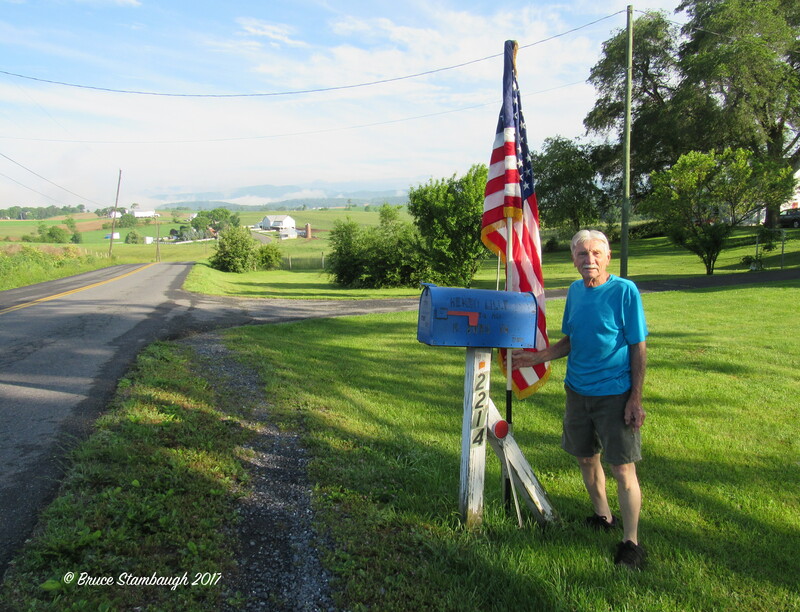 When I saw this man setting up his flag for Memorial Day, I stopped and asked to take his photo. He gladly obliged. 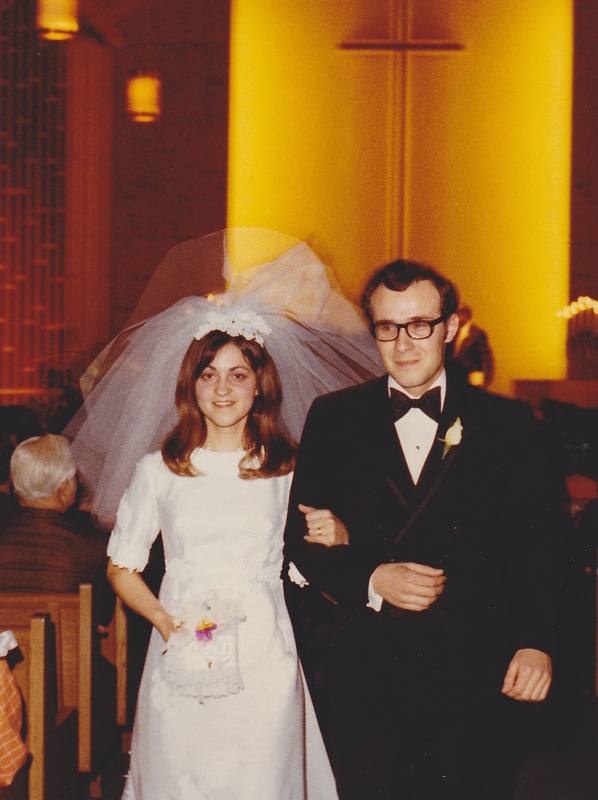 For the first time in our 45 years of marriage, our anniversary falls on Easter. I couldn’t be happier. To be honest, I have no idea why we set our wedding date for the end of March. We had to be crazy to marry at the height of high school and college basketball tournaments. I guess it was a different kind of March Madness. Both our fathers were big sports fans. They watched baseball, football and basketball games on TV and listened to them on the radio, too, sometimes simultaneously. We wouldn’t have been surprised if Neva’s dad had walked her down the aisle with a transistor radio held to his ear. He didn’t of course. There was another thing about our wedding date. Neva and I were both teachers. What kind of a honeymoon could we take in the middle of a school year? The answer was a very short one. The years have flown by. Like all couples, we’ve had our ups and downs. Through thick or thin, one little gesture has helped keep us together. We hold hands a lot. Our handholding started on our real honeymoon the summer after we were married. 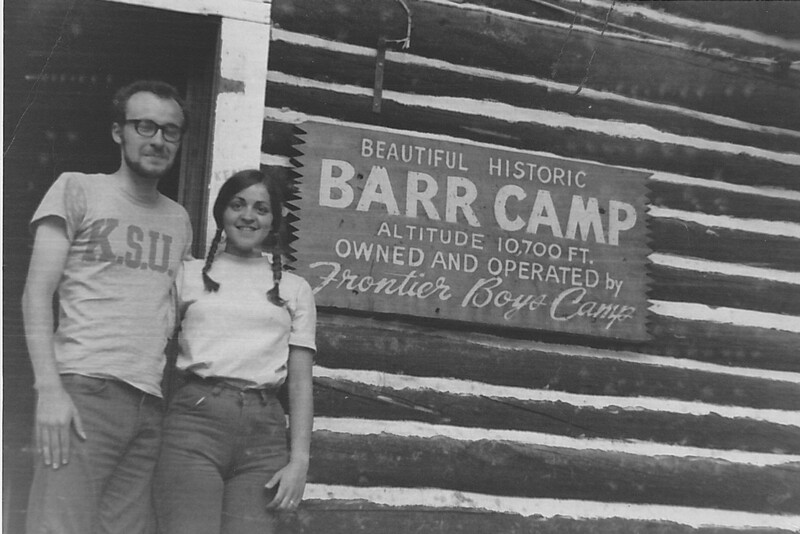 We ran a church camp located at 10,200 ft. on the eastern slope of Pikes Peak in Colorado. We cooked on a wood stove or over an open fire, drank water from an ice-cold mountain stream, and greeted mountain hikers who needed a rest stop. We met a lot of nice people that summer, plus a hungry black bear that came calling early one evening. A lot of water has run down life’s stream since then. We are fortunate to have family, friends, neighbors and church members who lifted us up when we needed it the most. We have tried to return the favors whenever possible. Serving and being served in and by the community has strengthened if not defined our marriage and our shared purpose. But it’s the everyday interactions with one another, with strangers and friends that have helped see us through. No matter the situation, Neva and I automatically reach for each other’s hand. That purposefully keeps us together. I have read Neva’s heart and mind simply by touch. Cold and firm or warm and gentle, good times or bad, we still cling to one another. It’s a constant reminder that neither of us is ever alone in any situation. I thrive in that reassurance. I remember the joy of playing horse as our two youngsters rode on my back around the house until I collapsed. They long ago became responsible, productive adults with careers and lives of their own. Our three growing grandchildren are wonderful blessings to us now, too. We recently visited the pastor who married us. We thanked him for all that he did to prepare us for our wedding day and life beyond. Hand in hand, he set this young, naïve couple on a long, meandering, incredible journey together. I’m hoping the Easter weather will be beautiful, as lovely as my bride. It’s been a while since I’ve called her that. It will be great to share this holy day with folks who have lifted us up all these years. I’m overjoyed that Easter and our anniversary coincide this year. It’s the perfect day of hope and joy for us to celebrate our reckless, uncalculated love together. In the evening, we’ll sit and watch basketball games on TV. I’m pretty confident we’ll be holding hands. A Belted Kingfisher flew furiously over the fresh mown hay towards a neighbor’s pond. Breakfast was likely on its mind. My farmer neighbor hitched his workhorses and teddered the hay to help it dry. The Barn Swallows, Tree Swallows, and Cliff Swallows circled the productive locomotion and devoured every insect the man, the machine and his faithful team dispersed. A refreshing north wind eased the day’s early humidity. No need for a calendar. All signs pointed to August’s end. A few trees had already begun to transition from their chlorophyll green to their disguised shades. Even before the berries on the dogwoods blushed bright red, the trees’ leaves curled and revealed hints of crimson and lavender. My energetic wife had already deadheaded the once lovely hosta blooms that adorned the leafy plants in her luscious flower gardens. 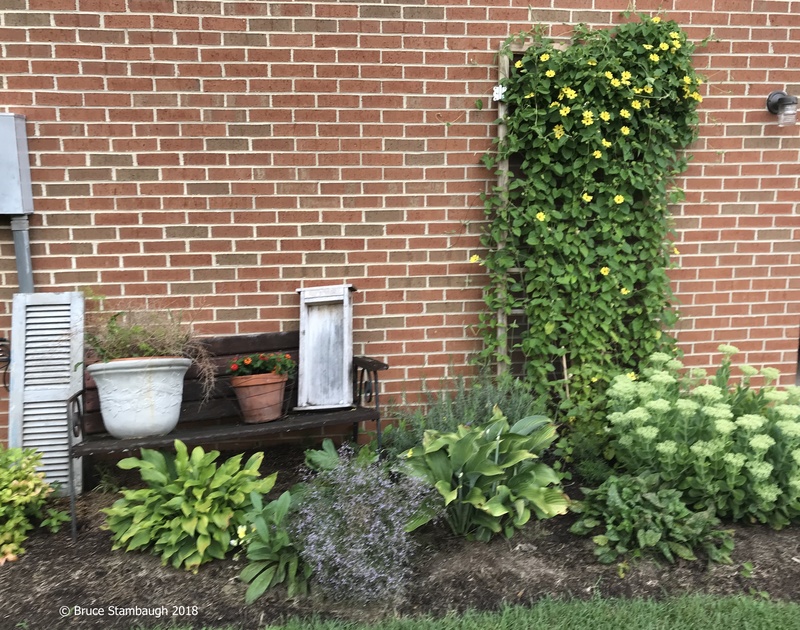 The Ruby-throated Hummingbirds, hummingbird moths, and various butterflies, bees, and other pollinating insects had completed their instinctive work. 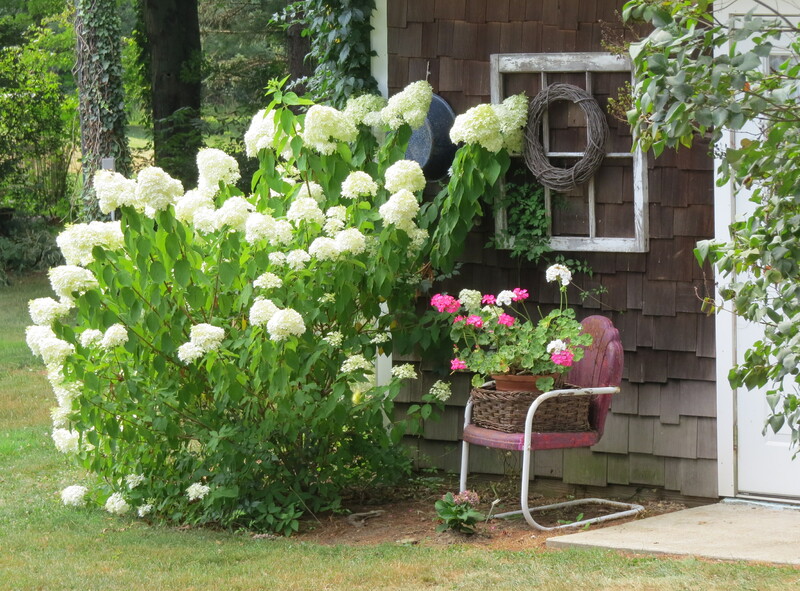 The hydrangea bush bloomed full and pure against the garden shed. It demanded daily watering in August’s heat and dryness. 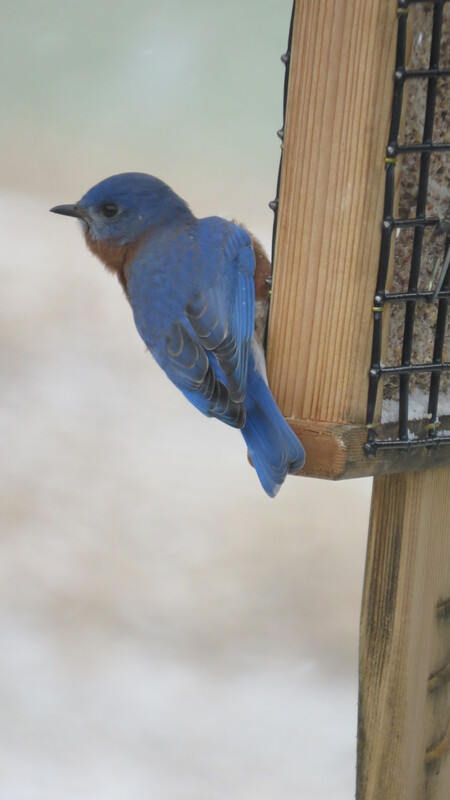 Juvenile birds, Red-headed Woodpeckers, Song Sparrows and Blue Jays among them, found the feeders and the birdbaths on their own. Another aviary generation will forge into fall and winter without knowing what lies ahead as if any of us do. 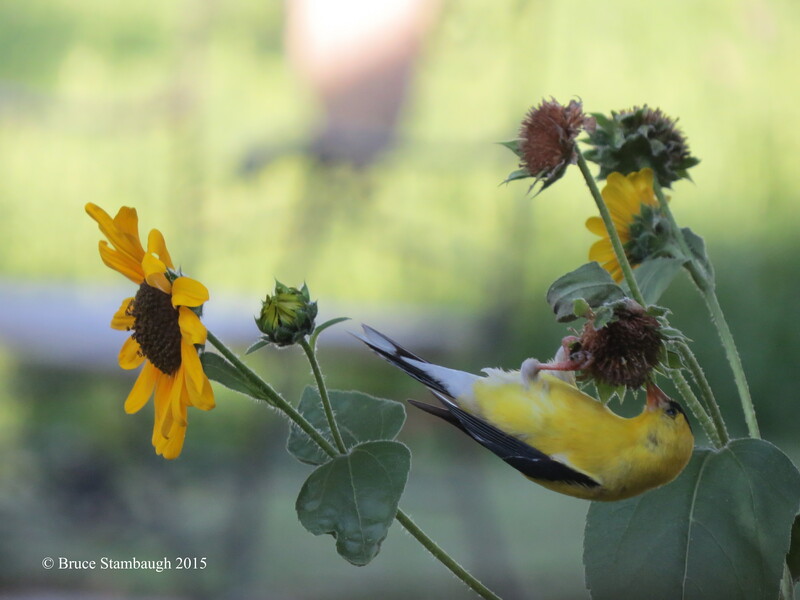 The acrobatics of the American Goldfinches provided free entertainment as they worked over the volunteer sunflowers that sprouted from bird feeder droppings. Fresh food is not just a human preference. The big yellow school buses began carting anxious and enthusiastic children alike to and from school. I waved to the drivers as they passed me on my walk. I loved the children, whether teaching or being their principal. I greatly enjoyed the interactions of parents and staff members, even when we disagreed. I have no resentments or regrets. Neither do I have any wish to reenlist. My life has moved on. I am the same person, just at a different place in my turn at life’s cycle. I have fond, fond memories of my teaching days and principal days. But now I have neither the desire nor energy to compete in today’s educational whirlwind too often driven by politics instead of common sense. I would rather sit on my back porch, as I am now, taking in the world as each moment flashes by. I don’t want to miss anything. 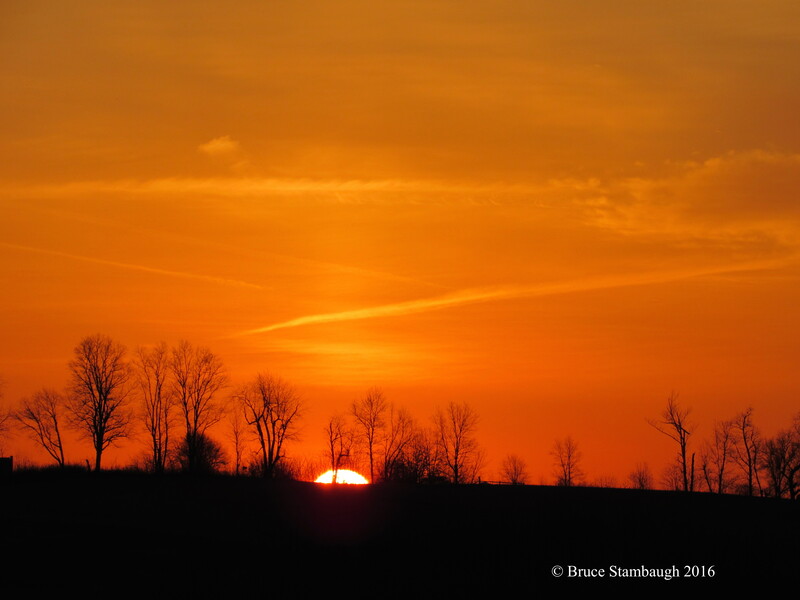 I want to rise each day to enjoy the sunrise and bid farewell to the evening light that dims all too soon. Each day is an opportunity to live, to be alive, to help others, to listen, to look, to breath, to pray silently, to work diligently for peace in a troubled world. That is my challenge now. August has come and gone, always too fast, always too hot and dry. August melds into September. We can only embrace it, for there are marvelous days ahead. I’ll watch for them whether from my back porch or wherever I might be, knowing that too many in the world will not have the pastoral view or luxuriousness of trusting neighbors that like mine. It’s my duty to share goodness and joy with others as my life, too, passes from August into September. Isn’t that the real responsibility of all of us at any age? 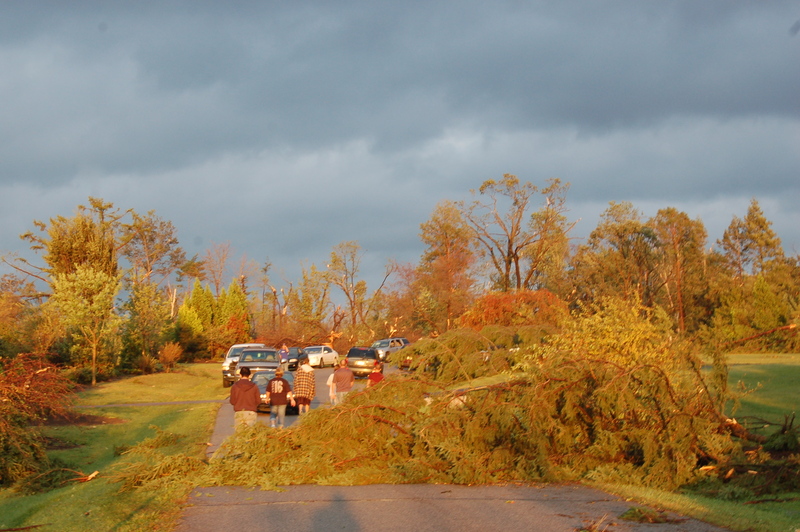 Damage left by an EF2 tornado that hit Wooster, Ohio on Sept. 16, 2010. I never believed much in New Year’s resolutions. I prefer to view the big picture. Besides, by now, I may have already broken half my resolves. This year, rather than aim to lose five pounds in a month, I want to lean into the wind. That should be easy for me. I’m known to be a little windy from time to time. You can blame my young pastor for this idea. He’s young because he’s half my age. Pastor Patrick recently preached a sermon about making yourself available and vulnerable to lean into life’s daily situations, good and bad, the way you would brace yourself against a good gale. I liked that image a lot. I’ll share a few ways I plan to apply the concept. I want to challenge myself to embrace all that swirls around me, positive or negative, this year. We learn from either perspective. Despite my loss of dexterity, I will lean into the wind and hold a child’s hand, steadying her wobbling stroll across a room. Though my hearing is diminished, I will listen attentively to what others have to say, even though I may vehemently disagree with their opinion or decision. Though my eyesight is aided with bifocal glasses, I will look for the simplest pleasure nature has to offer. A breathtaking sunrise, a singular drop of water hanging perilously at the end a leaf, a brilliant wood warbler migrating north will all be part of my leaning into the wind. Even though my cranky knees limit my mobility, I will do my absolute best to bend low to pick up trash thoughtlessly discarded by others. If someone else is leaning into the wind nearby, maybe they’ll help me back to my feet. Leaning is an active verb, not passive. Life is a series of winds of various velocities that shift daily. We can only feel the wind. We measure it by the effects on everything the wind touches, whether it does so fiercely or persistently. Regardless of the velocity, life’s winds affect us all. Leaning in enables us to practice gratitude and joy, the byproducts of vulnerability. Life offers no guarantees. It is full of pitfalls and mistakes as well as abundant joy and beauty. I want to discard the rose-colored glasses, and recognize the good from the bad. I want to accept them for what they are, and lean into 2014 accordingly. The blizzard winds of January will eventually subside. Before we know it, invigorating breezes of May, with their warm, sweet fragrances and life-giving rains, will arrive as a blessed balance for us all. 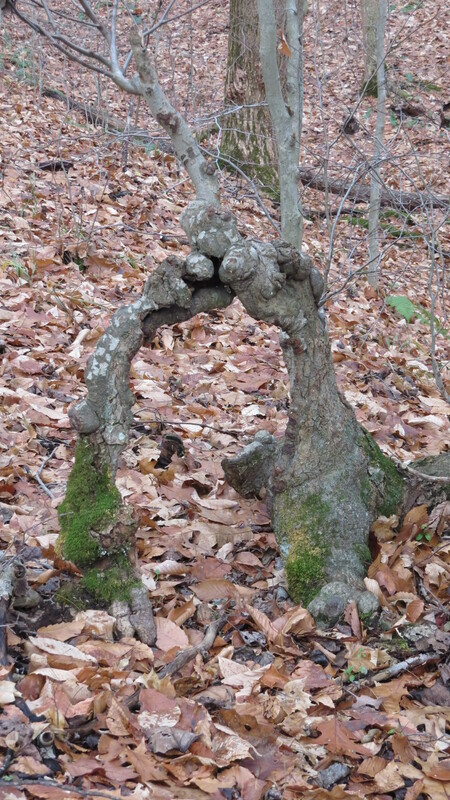 A friend of mine shared a picture of an old apple tree, trunk bent from age and time, some limbs broken and sagging. The caption beneath the old tree defined what I mean by leaning into the wind. By leaning into the wind, I can anticipate enduring, absorbing and embracing all of the various breezes that life blows my way in 2014.
Who knows? I might even lose five pounds in a month. There is a difference between thinking young and thinking that you are young. Despite what I see in the mirror every morning and my occasional childish behavior, I believe that I still think young. I readily acknowledge that I am no longer young. The baldhead, gray whiskers and skin creases are obvious hints. My body reminds me I’m no longer a spring chicken as well. With apologies to Elizabeth Barrett Browning, I could count the ways. I am pretty sure, however, no one wants to hear about my aches and pains. Mine are insignificant compared to those of others. Nevertheless, with my 65th birthday on the horizon, I am now a certified, card-carrying member of Medicare. When the card came in the mail recently, I didn’t know whether to smile or cry. It was sobering to see my name boldly printed on that red, white and blue card. Reality, as difficult as it was to accept, hit hard. Facts are facts. The truth is that I am entering the last quarter of my life, assuming the best. I have to be realistic about who I am and what possibly lies ahead. I know I could get hit crossing the road retrieving the mail. However, with longevity in my family, I expect to live another 20 to 30 years. The key of course is how I live them, not how long I live them. Isn’t that the case for each and every one of us? I try to take good care of myself in every aspect of my life, physically, mentally, and spiritually. When the weather permits, I try to walk at least 30 minutes everyday. Walking not only exercises my body, but stirs my mind as well. The brisk stroll invigorates my muscles and gets my blood flowing. The soft, cheery call of the White-crowned Sparrows singing from the creek-side brush uplifts my mood. Greeting the scholars gathering for another day of lessons at the one-room Amish school I pass brings back many fond memories of my own days in the classroom, both as a student and an educator. The hearty wave of my friend, Martha, reminds me how blessed I am and have been. Like a brilliant double rainbow, friends enrich my spirit. Inspirations like those keep me going. I think back and recall the good times, allowing them to override any and all negative experiences, and there have been plenty. It is easy to come to a simple conclusion. I am grateful. The secret to living a full, happy life is no secret at all. Bringing joy to others is really what it’s all about. In life’s daily clamor, it’s easy to lose sight of that basic fact. If I have learned anything in my first 64 years, it is this: Blessing others by what I do, say and write blesses me. I know I have fallen short too many times. The key is to keep on trying. A simple kindness like holding the door for someone will suffice. I didn’t expect signing up for Medicare to be so traumatic or reflective. I sighed to myself, accepted the card and tucked it away in the most appropriate place in my wallet, right behind the pictures of my grandchildren. That way whenever I need to pull out the card that says I’m old, the shining eyes and effusive smiles of my grandchildren will keep me young. Davis, 6, and Evan, 8. This column appeared in The Bargain Hunter, Millersburg, OH. 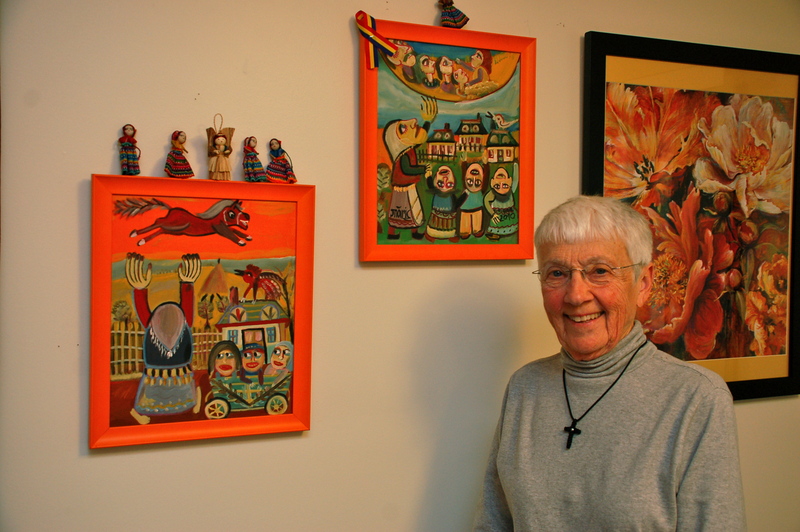 Mil Agnor with some of the artwork she brought back from Romania. You can see it in her eyes, in her smile and in her body language. Mil Agnor finally has closure. 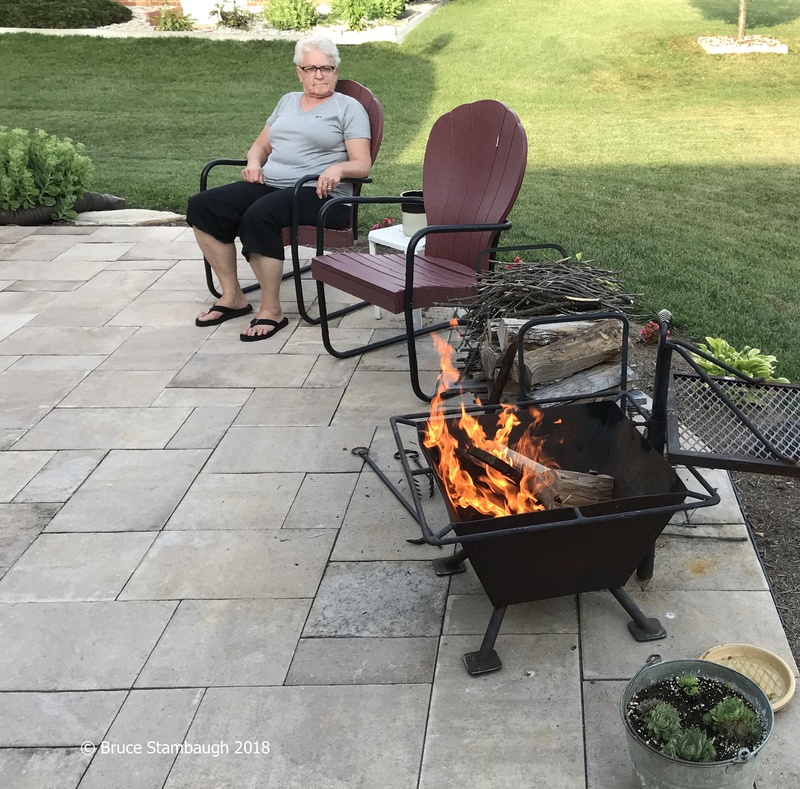 Earlier this year, the 80-year-old former Millersburg, Ohio resident had her two-year term of service with the Peace Corps in Romania unexpectedly interrupted. After a routine physical exam, she was sent back to the United States for more medical work. 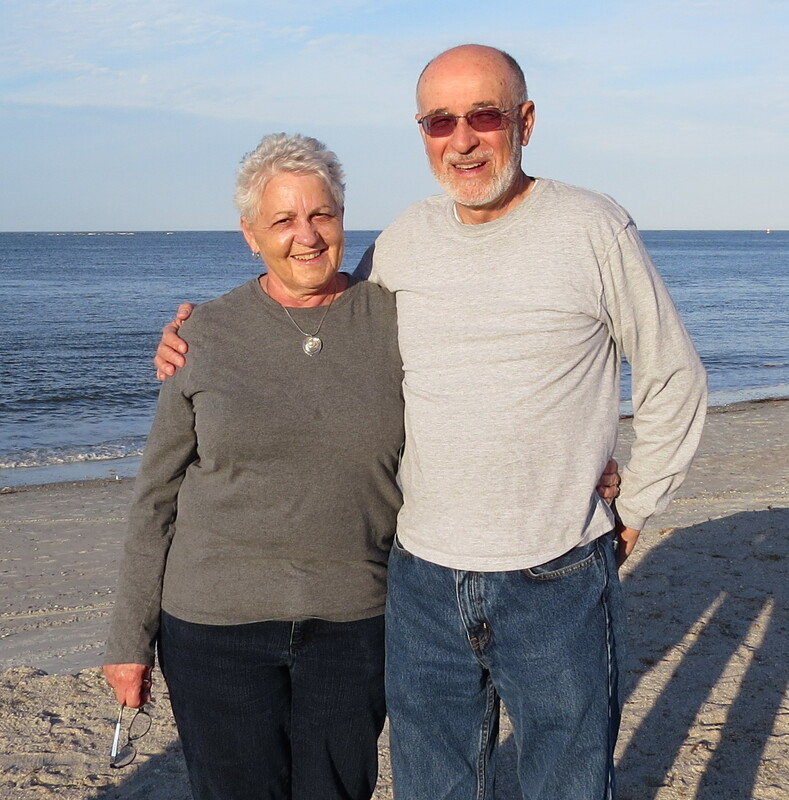 Agnor was diagnosed with bladder cancer, underwent surgery and treatment, and was glad to be up and around and physically well. But something was missing in her life. She had to leave her Peace Corps teaching assignment without saying goodbye to her students, cohorts and friends. The self-assured and talented Agnor was determined to correct that situation. Once she got the medical all clear, Agnor began planning a trip back to Romania. 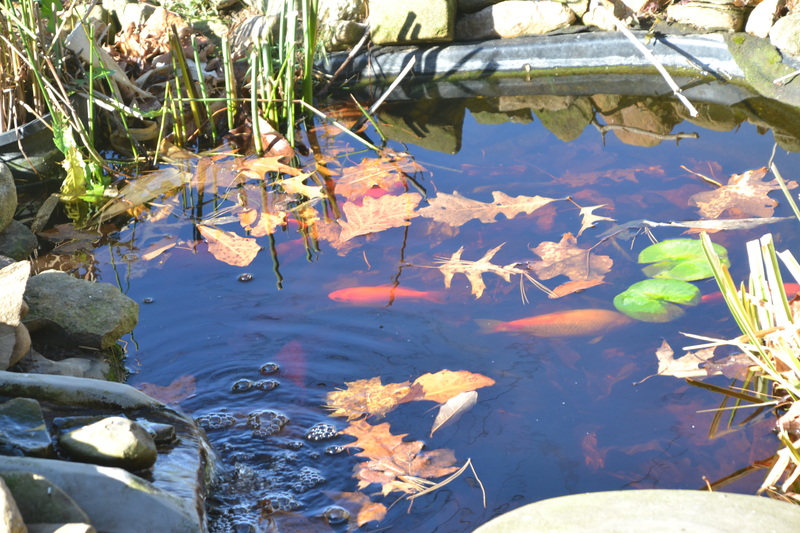 She left Oct. 12 and returned to her new home in Stow Oct. 26 a very satisfied person. Agnor didn’t make the trip alone. She took along 400 refrigerator magnets that she had made at a print shope in Millersburg. She handed them out to her former students, fellow staff, Peace Corps partners, parents, school and government officials, and even to people she met on the street. They should have been. The magnet was a photo of Agnor in front of the school where she taught English in Palanca, Romania. The magnets were inscribed in Romanian with heart-felt thanks from Agnor. Below the U.S. and Romanian flags was the salutation, “For my dear friends in Palanca and Romania. My greatest thanks to you and your good health.” It was a keepsake anyone there would cherish, especially since Agnor had it made herself and personally handed it out. She also seized the moment to teach the students about Abraham Lincoln, whose profile is on the coin. 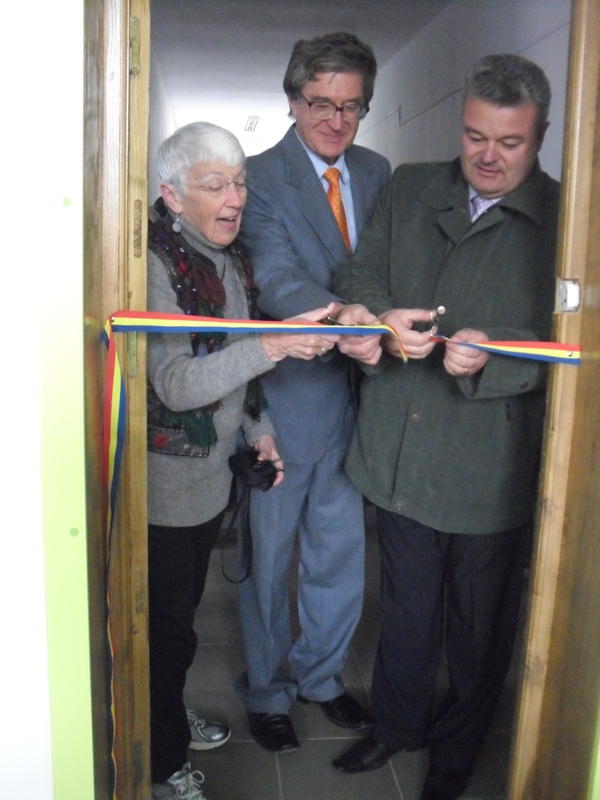 As the honored guest, Mil Agnor assisted the school's principal, Dumitru Cojocaru and Palanca's mayor, Adrien Palistan, in cutting the ribbon to the new science lab. To Agnor’s great delight, her hosts had a nice surprise for her, too. A dedication was held in her honor for the new science lab that Agnor helped create. She wrote a proposal for the lab, which was approved by Peace Corps officials in Romania and the U.S. The project, which included adding water and electricity in the unused room, totaled $9,300. The local school raised 35 percent of the amount, 10 percent more than what was required, Agnor said. That amount included $275 collected by the students from selling jewelry and food. The balance was raised through donations to the Peace Corps. The staff and students hustled to complete the science lab while she was visiting. A special celebration was held, requiring Agnor to stay in Palanca an extra day. County and local officials and school personnel all acknowledged Agnor’s leadership role in helping to instigate and create the lab. Agnor said she felt honored to receive the recognition. The biggest hit of the science lab was the smart board, which is basically a large interactive computer screen that allows teachers and students to share in researching and displaying projects. In addition, the monies raised help supply the lab with tables and chairs. “The project had to be sustainable,” Agnor said. “We had to develop something that will be ongoing in the absence of Americans.” She said the Peace Corps would terminate its services in Romania within two years. Agnor’s service in Romania is completed, but her dedication to helping there is not. “I’m going to find a way to continue to work in some nonprofit approach here to help my friends in Romania,” she said. Given her commitment and determination, she will likely be successful at that as well. 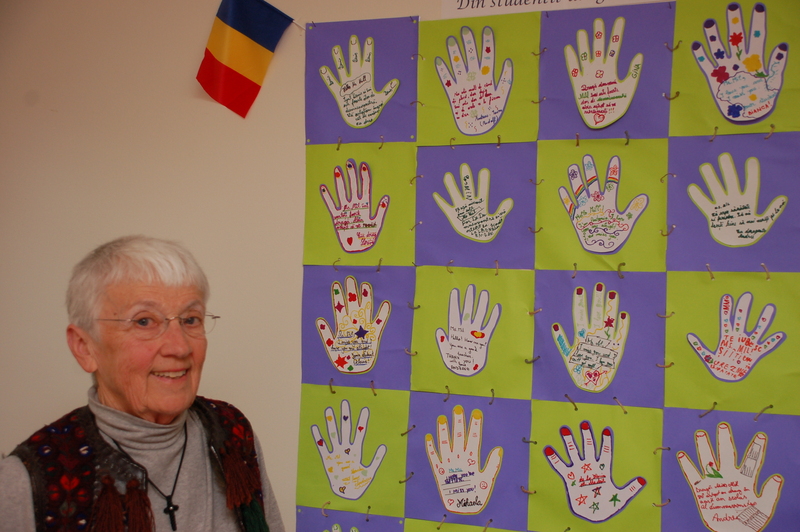 Agnor's students gave her a hand print quilt they made. She was also given the summer wedding vest that she is wearing as a thank you gift. It was only appropriate that for a full week after the first snow of the year that we experienced a perfect Indian summer here in Ohio. The extended summer-like days, which seemed to actually improve chronologically until the rains came, served as a picturesque bridge between a superb fall and an inexplicit winter yet to come. We can only wonder what winter will be like. Will it be as harsh and record breaking as the last? We hope not. Clearly we have no say in the matter. 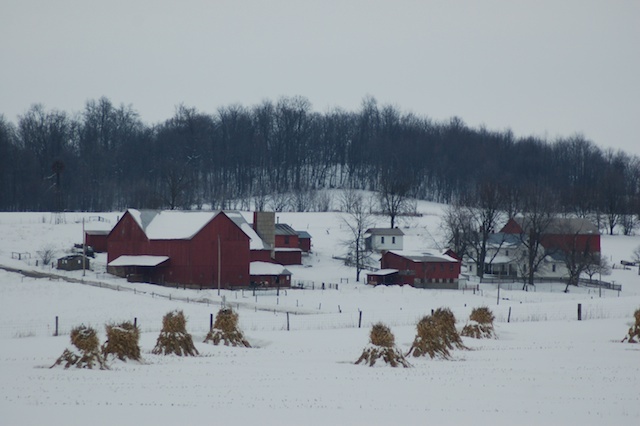 Snowfall in Ohio's Amish country totaled three feet in February 2010. Every fall the National Weather Service issues a long-term guesstimation of what winter will bring. But even the scientists hedge their prognostications on percentages, casino like. In the end, we have no choice but to take what we get. Hushed by the holiday clamor, a certain question lingers unspoken. Will we appreciate what we receive? In truth, that question can and should be applied far beyond the realm of weather. I remember well the winter of 2004-2005 when the infamous ice storm nailed our area. The accumulating ice snapped giant trees, brought down power lines, halted commerce, interrupted communications, and thinned traffic to emergency purposes only for days. Those of us who were on the electrical grid were hit hard. Fortunately, an Amish friend saved my family and me with the use of a generator to at least keep the gas hot water heat on. Without the generator’s assistance, the pipes in our home would have frozen and burst, causing extensive damage. Thankfully that did not happen, due to the unconditional generosity of my friend. All the while, with our communication to the outside world cut, thousands upon thousands of people were caught in the wake of a horrific earthquake and subsequent tidal waves that killed scores of people. In sorting through an overflowing basket of mishmash the other day, I came upon some handwritten notes I had made about the catastrophe. Apparently, I did so while listening to a battery-operated radio. In reviewing my scribbling, I was reminded that the inconvenience of living without electricity for five days paled in comparison to the plight of millions of fellow human beings halfway around the world. A sampling of my jottings, dated Dec. 26, 2004, relived the calamity: Banda Ache, 60-foot wave, two miles inland, 30 mph, eight-12 feet deep flood; deaths, 200,000 in Indonesia alone, 400,000 injured; no system to alert people in Indian Ocean rim; 9.3 magnitude earthquake, the world’s deadliest tsunami. Unfortunately, those initial notations proved accurate. Once power was restored the horrible scenes unfolded on television. I was appalled for the victims, thankful for my family that we had only lost power and a few trees in the yard. Compared to the widespread wreckage and unbelievable totals of death and injuries of so many innocents, we had been fortunate. 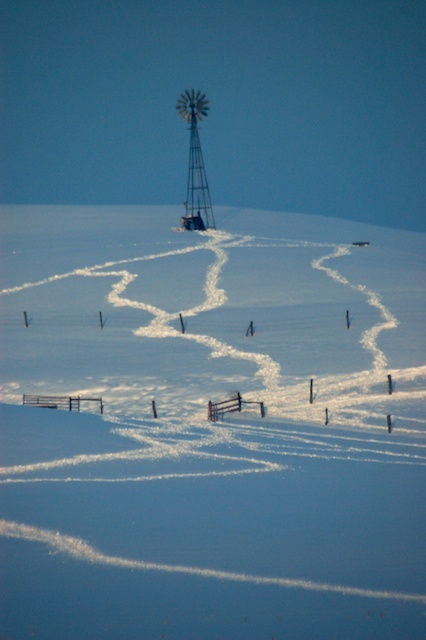 Horses made serpentine tracks in the heavy snow last Feb. in Holmes County. Since then, infinite natural and man-made disasters, including the sluggish global economy, have occurred. Others will likely continue to develop as time progresses. Nevertheless, as we begin this holiday season in North America, we still have so much for which we can be thankful no matter our personal situation. This Thanksgiving perhaps we can express our gratitude by simply helping the less fortunate. We may not have to look clear to the Indian Ocean rim for those opportunities either. Maybe, just maybe, a proactive generosity can be an Indian summer bridge to brighten someone else’s rainy day life. That would be a practical, productive and prudent Thanksgiving. Marlene Burrell of Mineral City, OH shops regularly at the Harvest Thrift Store in Sugarcreek, OH. 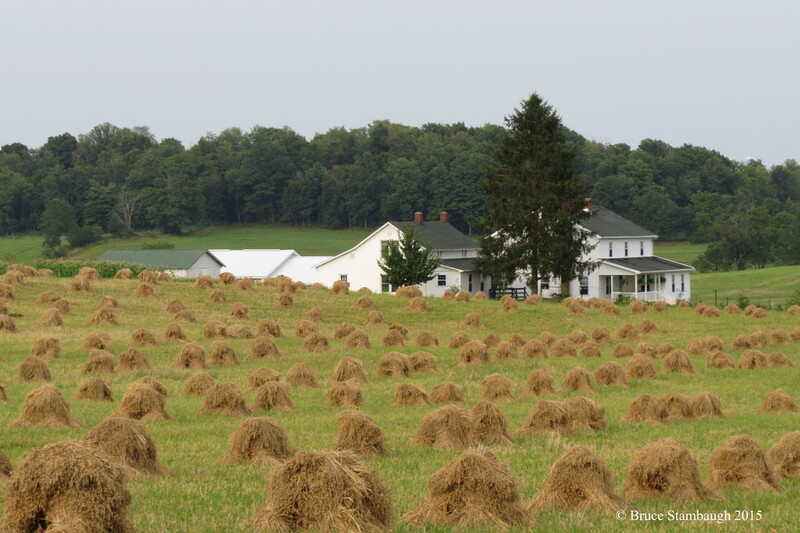 Frugal shoppers will find a bonanza in Ohio’s Amish Country. The area is abundant with several well-stocked thrift stores, which is a reflection of Amish and Mennonite values. The Amish and Mennonite cultures have a reputation for being thrifty. Recycling clothing, house wares and other household items and much more not only fits that image but their theology of service as well. Accordingly, profits from all the area’s thrift stores go to various charities. Great bargains covering a wide range of items can be found in each thrift store. All resell clean, functional and stylish merchandise for the entire family. On the eastern edge of Amish Country is the Harvest Thrift Store in Sugarcreek, Ohio. 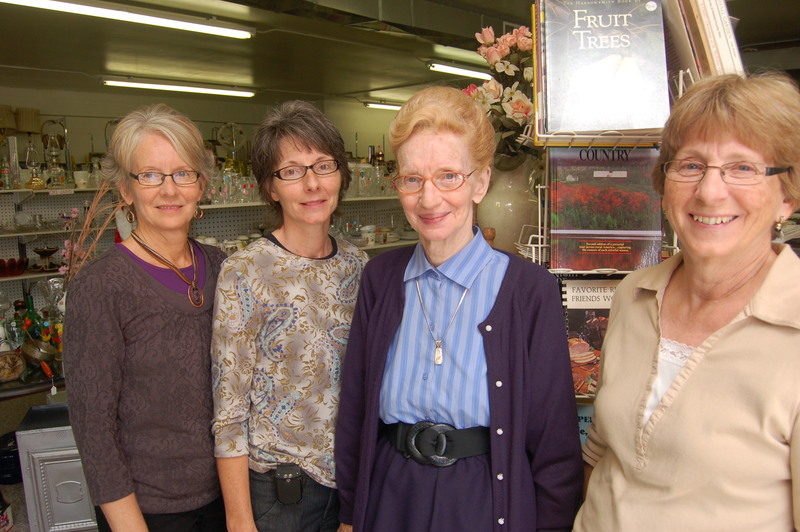 Located at 1019 West Main Street, the Harvest Thrift Store has been in operation for four years. A second store at 102 East Main Street in Wilmot opened last May. All proceeds go to youth ministries and to local non-profit organizations like Every Women’s House in Wooster. According to store manager Holly Lehigh, 30 to 40 percent of her customers are from out of the area. 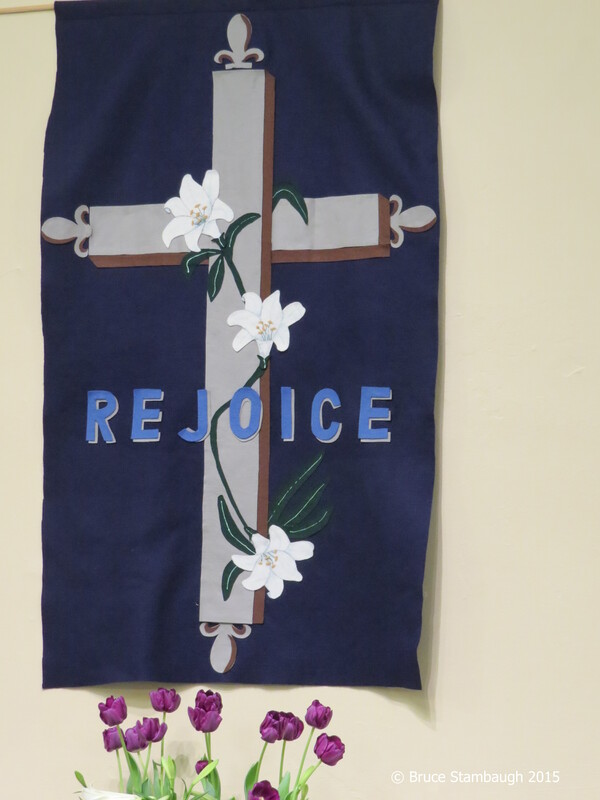 In Wayne County’s Kidron, MCC Connections offers its items in a pleasant and well-organized atmosphere. Store manager, Bill Ressler, said that a number of tour buses stop at the store on occasion, the most recent from North Carolina. He attributes those visits to the promotion of the store by the Wayne County Convention and Visitors Bureau. According to Ressler, all proceeds from sales at MCC Connections go to Mennonite Central Committee (MCC), Akron, Pennsylvania. MCC assists peoples around the globe in education, water projects and agricultural initiates, encouraging health, hygiene and sustainability. MCC Connections is located at 4080 Kidron Road, Kidron. Back in Holmes County in the hub of Amish Country is Berlin, where Share and Care Thrift Store operates on U.S. 62. Share and Care sends 80 percent of its profits to Haiti missions and uses the balance for local needs, such as fire victims and personal disasters. Day manager Noah Troyer estimated that at least 50 percent of the store’s business is from tourists. He said that amount increases during peak tourist time. “We have had people here from Arizona and California,” Troyer said. Millersburg, the county seat, hosts two thriving thrift shops, the internationally known Goodwill Industries, and Save and Serve Thrift Shop. They just happen to be catty corner from one another on South Washington Street at Rodhe Drive. Like it’s international corporation goals, Goodwill’s objective is to finance the employment of those who need jobs. Store manager, Josh McWilliams, said most of his customers are local residents, though the number of tourists who frequent the store increases seasonally. 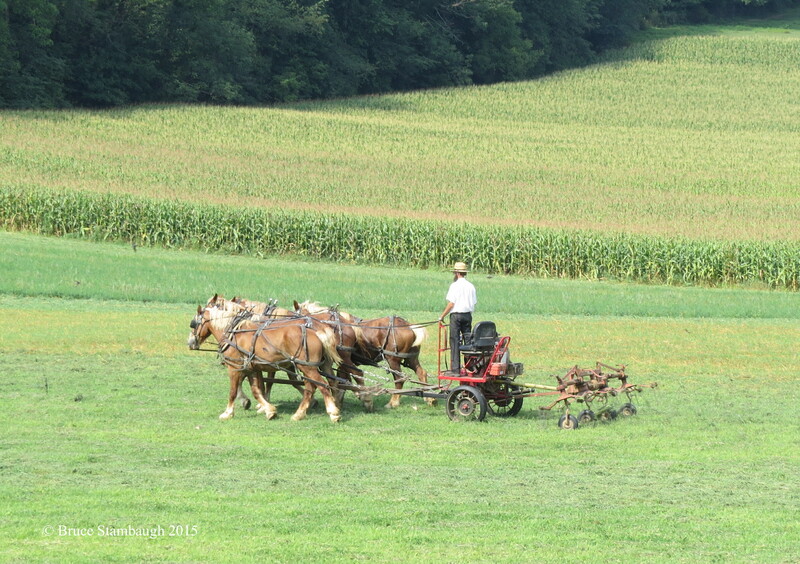 “They are mostly looking for down home, Amish-made items,” McWilliams said. According to Helen Glick, co-manager at Save and Serve, about 25 percent of their customers are from outside the immediate area. “Our on-going silent auctions seem to attract collectors and others interested in unusual pieces and antiques,” Glick said. A look at the silent auction bid book indicated customers from all across Ohio as well as several from other states. Eric Raber, co-manager at Save and Serve, credits the community’s continued support for the long-term success of his store. Save and Serve was founded in 1975. “Even in a down economy, the local people continue to provide us with amazing amounts and quality items to offer at reasonable prices,” Raber said. Like MCC Connections, all of the profits at Save and Serve are sent to MCC. In its 35 years of operation, Save and Serve has sent $3.3 million to MCC to help fund its global projects. Whether from near or far, bargains galore are sure to be found in the thrift stores in Ohio’s Amish Country. And emblematic of the holiday spirit, all of the profits from sales go to those in need. Kay Schrock, Mary Hoefer, and Jo Troyer, all of Goshen, IN, and Becky Christophel of Harrisonburg, VA, shopped several Amish Country thrift stores, including Share and Care in Berlin. 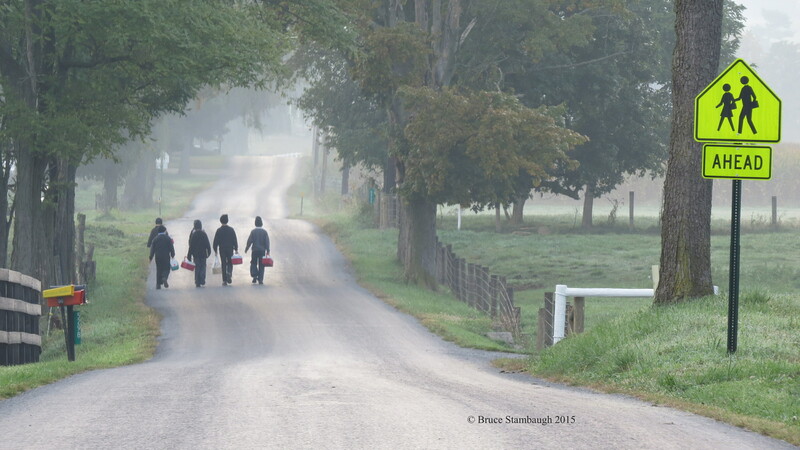 The three sisters and their mother, Troyer, enjoy their frequent rendezvous' in Ohio's Amish country.